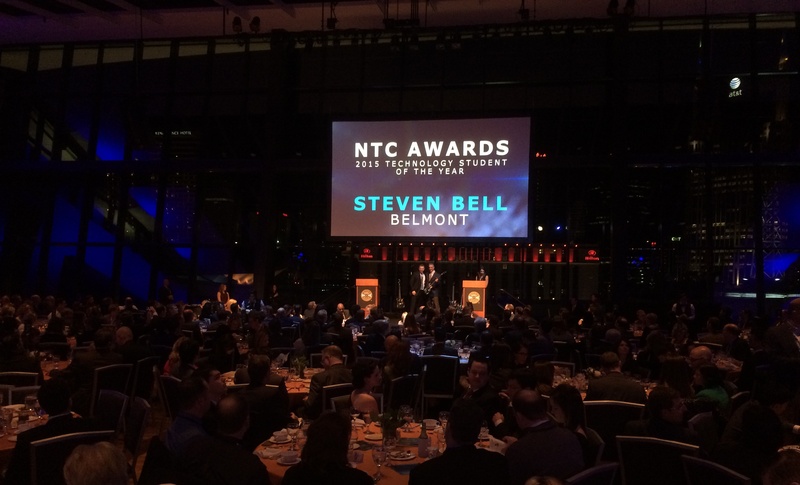 Steven Bell, a senior information systems management major, was named Nashville Technology Council’s Technology Student of the Year at an awards ceremony held on Thursday, Jan. 28 at the Country Music Hall of Fame. The ceremony is held each year and recognizes companies, teams and individuals in middle Tennessee that are moving the technology industry forward. To learn more about NTC awards, click here.